As medical care continues to shift from inpatient to outpatient settings, many Californians are using freestanding ambulatory or "same-day" surgery centers* for a wide variety of procedures such as colonoscopies, arthroscopies, eye procedures, and more. there are at least 1,603 operating rooms in 754 freestanding surgery centers in the state, according to the latest data available. However, little else is known about the freestanding ambulatory surgery centers (aSCs) operating in California. Most of these facilities are for-profit entities, with a significant number owned by physicians. the Medical Board of California, which oversees physician-owned facilities, does not collect data for public reporting. 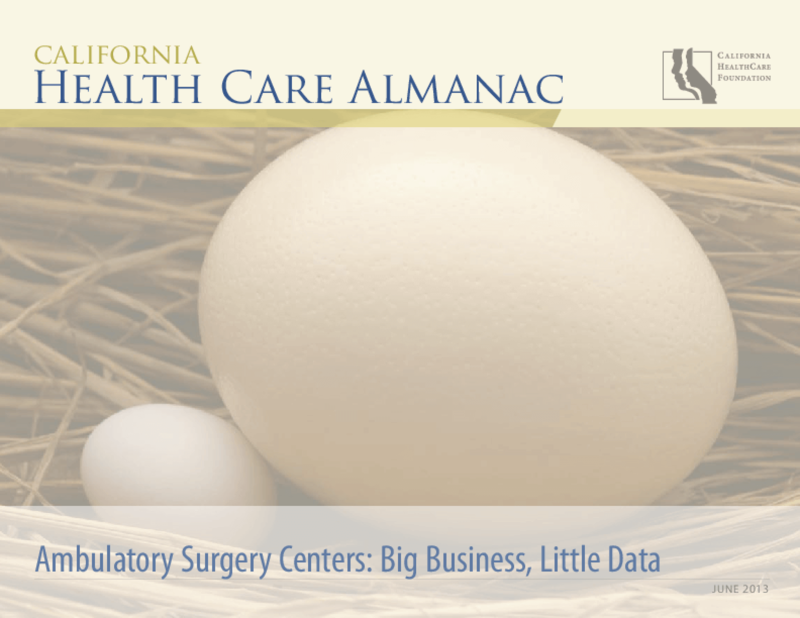 This report looks at the most recent data on the supply, utilization, accreditation, and finances of freestanding aSCs in California, as well as trends from 2003 to 2010.